In the midst of the Apocalypse comes the catastrophic Red Reign, unleashing fire and fury upon the world. 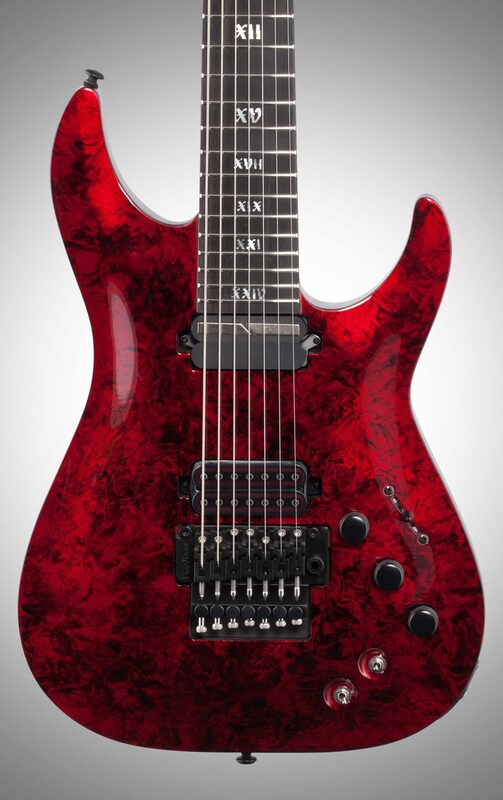 Loaded with a Schecter USA Apocalypse humbucking bridge pickup, the aggressive, combative, and clear tone will slay any riff. 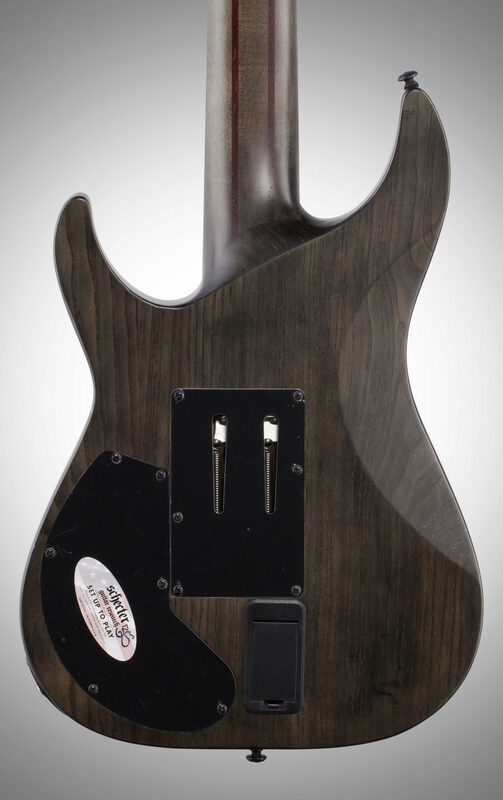 The Sustainiac neck pickup paired with a Schecter exclusive Floyd Rose 1500 series bridge, will let you sustain until the end of days and drop bombs into the abyss. 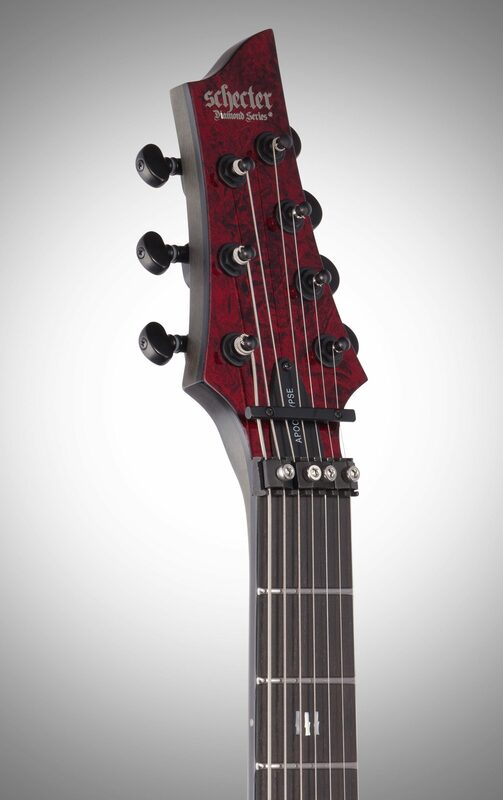 The C-7 FR-S Apocalypse Red Reign boasts 24 extra jumbo stainless steel frets on an ebony fretboard. 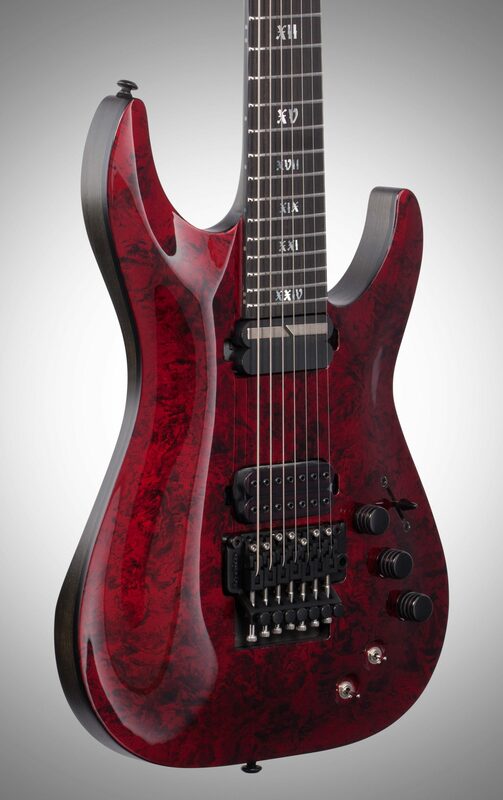 The Mother of Pearl Roman Numeral fretboard inlays gives class to this otherwise tormenting looking figure. 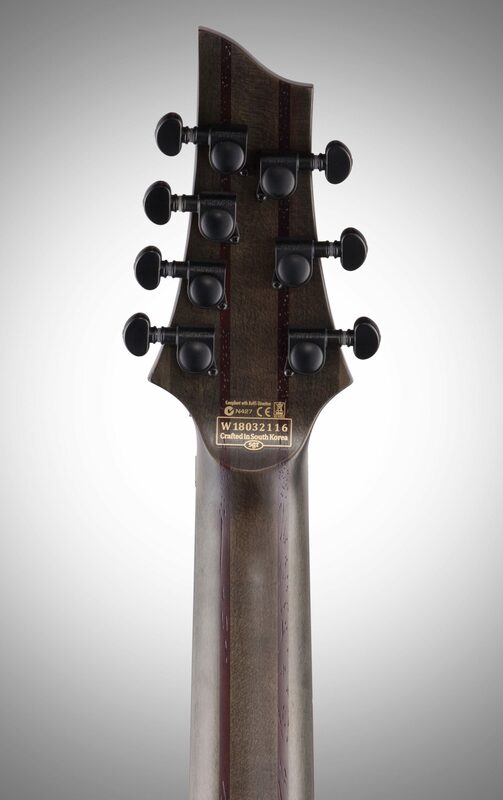 A multi 5-ply maple/padauk neck set into a swamp ash body provides warmth and clarity. The thin C neck shape, 26.5" scale, and compound fretboard radius provides comfort and quick response when unleashing the fastest passages upon your victims of heavy metal doom. Overall: This thing shreds. The action right out of the box was perfect. Fast as lightning. Stainless steel frets make the bends smooth. Tone like butter. 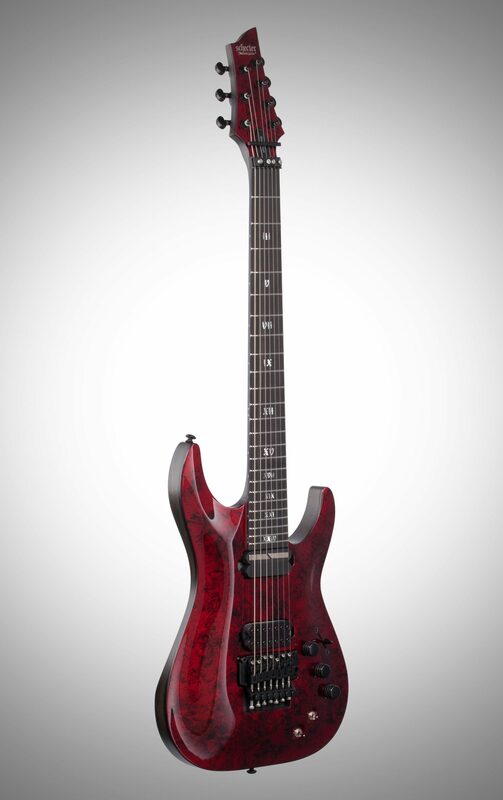 Best guitar I’ve ever bought. The sustainiac pickup is gonna take some getting used to but the concept is amazing. As I said before, this thing shreds. Amazing tone! 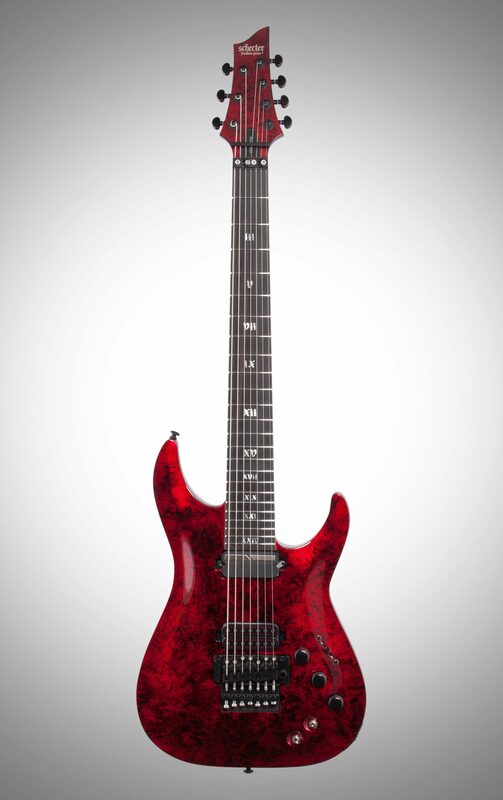 "Best guitar I've ever purchased"
Overall: This C7 FR-S is awesome. its one of the best put together axes I've ever purchased. 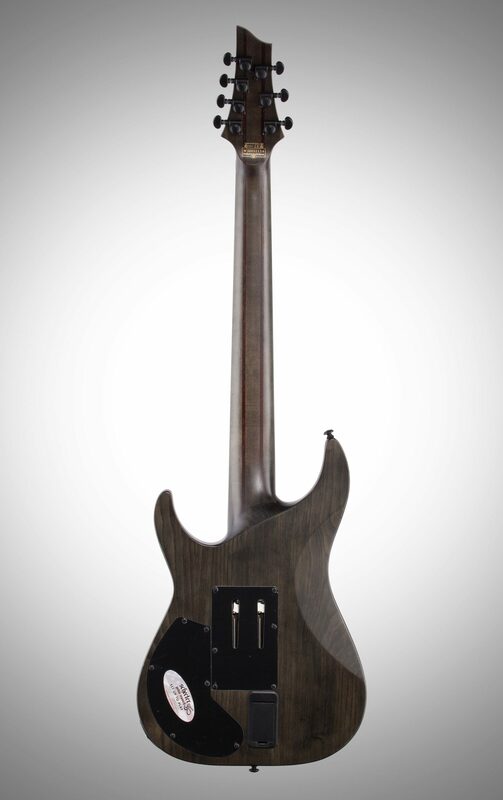 The neck is flawless, it came set up really well for being in Drop A. I had to do a full set up to accommodate my band's tuning but the Floyd Rose 1500 is so easy to adjust. the Sustainiac is nuts though! Its so much fun but if you have that intensity knob cranked, it can really get away from you. It adds some fun dynamics into the mix!